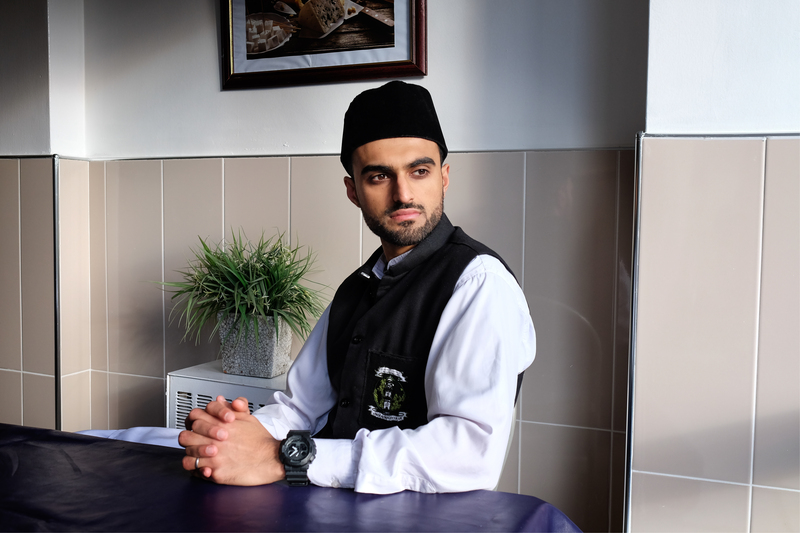 Sabah Uddin Ahmedi, 22, an imam-in-training studying at the Jamia Ahmadiyya institute in Surrey. Photographed in the Jamia’s canteen in March 2017, interviewed in July 2016. As soon as you sign up to dedicate your life to religion, your view on life changes. Working in the big wide world, your main goal is to make money – being an imam is a role where you’re trying to increase your spirituality. I like that with this role there’s a focus that will be with you to your last breath. For many young people these days, the feeling of not being settled is a massive stress, if you keep chopping and changing jobs and you don’t know what tomorrow will bring. The tightly-structured Ahmadiyya sect accounts for 1% of Muslims worldwide. In the UK, Ahmadis can join the Jamia after their GCSEs and do a seven-year imam-training course. Some Ahmadi beliefs differ from mainstream Islam, and some Muslims ostracise this community.